Ratio, a great app for anyone who likes to cook, was for quite a while one of the few things I was jealous of on the iPhone platform. No more: it’s now available for Android. One of my other hobbies, besides Android enthusiasm, is cooking, and I’m the kind of person that likes to wing it in the kitchen. Michael Ruhlman’s book Ratio is great for that: it gives you a framework that allows you to be creative, secure that the dish will basically turn out okay. And what you intend to be, say, biscuits, will actually be biscuits and not accidentally muffins. The app is a companion to the book but also stands on its own, making it easy to use Ruhlman’s ratios while you’re cooking. So, for example: this weekend I got some nice, fresh raspberries at the farmer’s market, and had part of a bag of white chocolate chips left over from a dessert my wife baked. I decided to make white chocolate-raspberry pancakes for breakfast, a dish I’d never made or even thought of before. I got the flour out and saw I didn’t much left. I weighed it out: exactly 13.5 ounces left. No problem, I opened up the app, went to the ratio for pancake batter, and entered 13.5 ounces for flour on the Calculator tab. 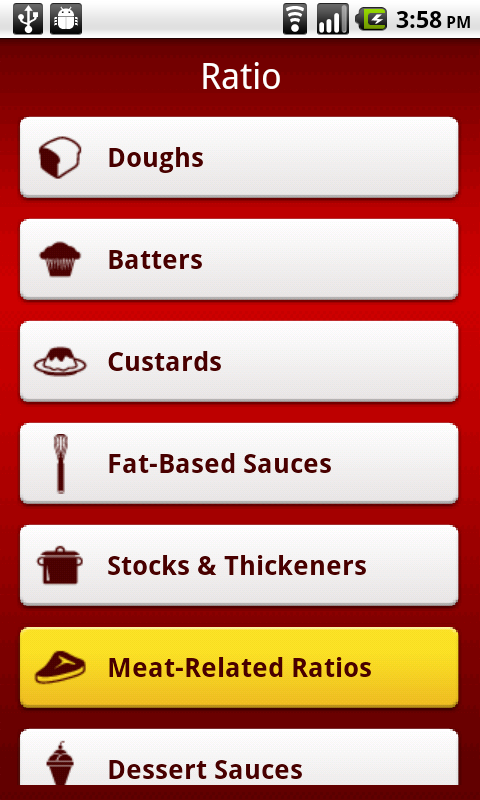 The app figured the rest of the ingredients for me. 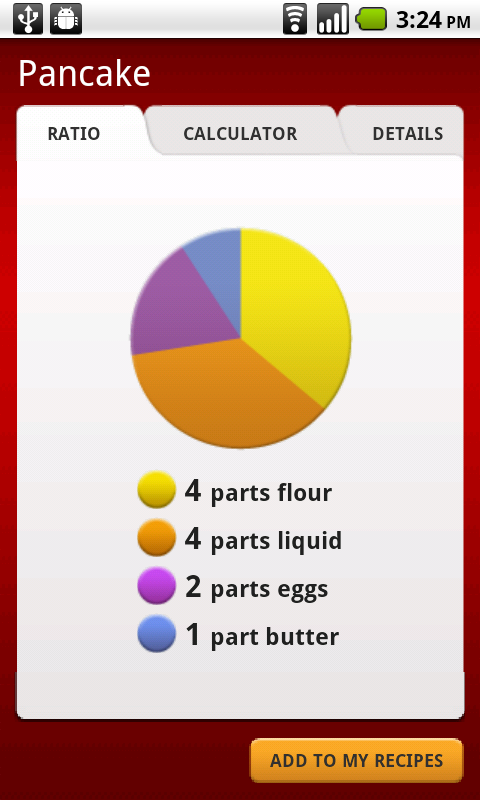 The Details tab reminded me of the procedure for putting the batter together and suggested some variations. I took the app’s advice and added some vanilla to the batter, then dropped a few raspberries and white chocolate chips in each pancake after it went in the skillet. The family loved them, so I made a few notes in the app and saved it to My Recipes. Without the app? I’d either have been flipping through cookbooks or searching the internet for a recipe; then I’d have to do the math to fit it to my 13.5 ounces of flour, an especially tough exercise first thing in the morning while the coffee is still brewing. There’s more to the app than pancakes, of course. It includes all 30 ratios from the book, for fundamental recipes as varied as bread, mayonnaise, sausage and chocolate sauce. And each one lets you make dozens of variations–really, only limited by your creativity. Each item on the Calculator tab can be set to whichever of eight different units of measure works best for you at the time. If I’m making a brine, for example, I might want to measure the water in cups or even gallons, and weigh the salt to grams or ounces. This is not Cooking Capsules or Epicurious. Both are great apps, and may better serve cooks who prefer following a detailed, step-by-step recipe, or those looking for a large database of specific recipes. Ratio fills a different need; the difference between Epicurious and Ratio is like the difference between sheet music and music theory. 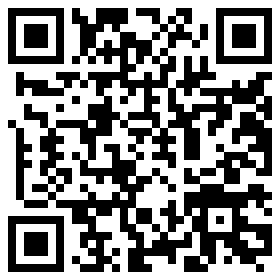 The app’s interface is simple and intuitive, and it ran smoothly and without any technical issues. My one complaint is that sharing from My Recipes to Twitter, Facebook, etc., a feature included in the iPhone version, is not included in the Android version. Hopefully that will be added in a future version. Presentation: A polished, easy-to-use app. Value: Ratio is well worth its $4.99 price. A.G. Says: Ratio is a great app that will make you more confident in cooking creatively. While it shines as a companion to the book, it stands on its own as well.